I will not recap the entire story as it will be known, with massive resignations from the front bench and ever more hateful leaks to media only too willing to follow up (I must say, from abroad British media seems brutally hateful and prone to collective campaign-journalism). "Our Jewish friends are no more responsible for the actions of Israel or the Netanyahu Government than our Muslim friends are for those of various self-styled Islamic states or organizations." This would be a completely uncontroversial quote for any anti-racists. Neither Jews not Muslims should be held collectively accountable for the actions of any particular state or group that happens to claim to represent them. This quote was however quickly slightly altered before spread to the media. Kevin Schofield, editor of PoliticsHome, picked the quote up and quickly spread it across twitter. Then however the term "various self-styled Islamic states or organizations", had become "the self-styled Islamic state". This again created an outrage that Corbyn was "comparing Israel with Islamic State", which - even if the quote had been correct would not have been true - he would have been correctly pointing out the most common forms of racist collective guilt that Jews and Muslims are being subjected to. When he is talking about Islamic states and organizations in a plural, however, such a claim of comparison is utterly absurd. Schofield later corrected the quote, and deleted the tweet, but not before it had been spread hundreds of times, and various newspapers had made news stories and opinion-pieces on it. Even when they corrected, or later put in the correct quote, this did not change the angle of the pieces. Corbyn was still claimed to have compared Israel with IS. “It’s a failure of our government to properly fund local authorities,” he said. “It’s a failure of our government to provide housing for people. It’s a failure of our government for the first time in twenty years, thirty years maybe, attacking school budgets. Corbyn also risked consternation in the Labour Party by saying that he did not believe you could have an upper limit on immigration while there is free movement within the EU. He also suggested that the EU was partially to blame for high levels of immigration because of austerity measures imposed on countries like Greece. In addition, he has taken every opportunity after the vote, to slam the rise in racist attacks Britain has seen. No major British politician has a more principled stance against racism then Jeremy Corbyn. Nevertheless, enough about the media. The coup attempt from the PLP has obviously been planned for a longer time. 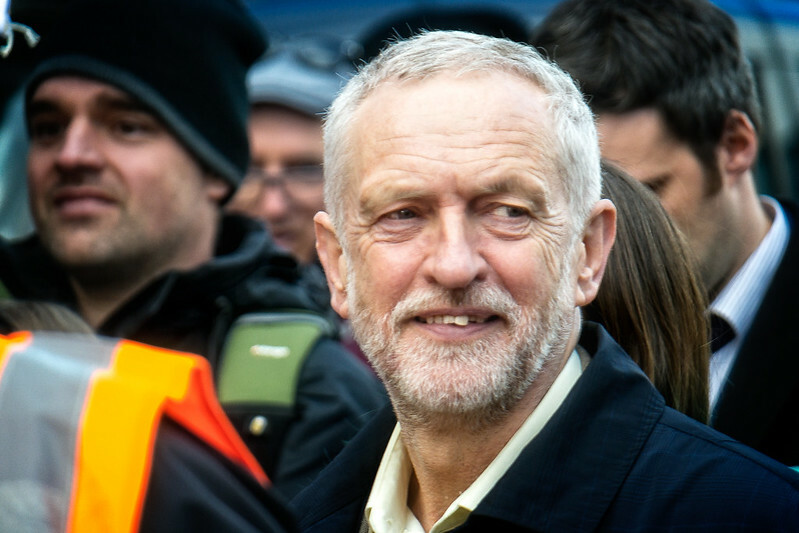 Already in May, British media reported a planned leadership challenge against Corbyn. This was supposedly going to happen by using Margaret Hodge - the very MP that filed the no confidence vote now. We have recently also seen that Angela Eagles leadership bid website was registered online days before she resigned, and before Corbyn sacked Hilary Benn from the shadow cabinet, effectively showing this was not the reason for the following resignations and the coup attempt. But has this massive media campaign and PLP campaign worked? Yes, to a certain extent. The support Jeremy Corbin has today is quite a bit smaller than it was in May a fresh YouGov poll amongst Labour members shows. However, probably to the desperation of the PLP, it has not worked quite well enough. The poll still shows Corbyn has a positive rating from Labour members, and that a majority of members (50% with a 2% dunno) would probably vote for him regardless of which other candidate the PLP put up. He leads Angela Eagle with 10%, Tom Watson with 11% and Dan Jarvis with 17%. This poll probably has not managed to incorporate all the 60 000+ new Labour members that has joined the party the past week, and dos not take into account the so called "three quidders" - supporters who can register to vote for 3£, both groups who are assumed to overwhelmingly support Corbyn. 44% in the poll think Jeremy Corbin should step down now, but 51% think he should not. In the current crisis situation, that is impressive. In addition, 60% think the shadow cabinet members were wrong to resign to try to force Corbyn to resign, with only 36% supporting the move. Therefore, the PLP has a problem. Angela Eagle has stated she has postponed her leadership bid to allow Jeremy Corbyn to "do the right thing" and resign. Papers are quoting rumors he is about to quit. Given the available statistics, one would be forgiven to wonder whether the reason simply is that she would probably lose, and knows it. A new leadership vote would strengthen Corbyn's position, and make later attempts to have him removed more difficult. To remain leader with the majority of the PLP as a de facto internal opposition will however be very difficult for Corbyn over time. It seems the PLP will do anything to get rid of Corbyn apart from contesting him in an open, democratic election. What happens next may very well depend on whether there will be called a snap election later this year. With Boris Johnson out of the Conservative leadership battle, this seems a bit less certain. Jeremy Corbyn however, will definitely be strengthened by both this poll, and the massive influx of new members to the party.